If you would like to make your an eco-friendly landscape, but aren’t quite sure as to how you can achieve this, then read this article from your local Los Angeles landscape architect. Below we’ve provided a few simple examples of how you can transform your outdoor living space into one that is eco-friendly and green, and make it a welcoming and warm entertaining space for your family and friends. When trying to convert your grounds into an eco-friendly landscape, you’ll want to opt for plants that grow naturally in your local area. This is mainly due to the fact that failing to do so can result in flora that won’t thrive in your region’s conditions or may require additional natural resources to maintain. 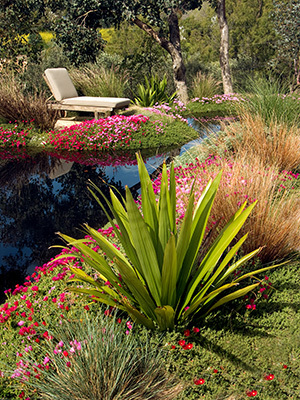 It’s often best to consult with a professional Los Angeles landscape architect, so that you are able to choose the perfect plants for your area and integrate them into your landscape. A drought resistant landscape is one which does not require much water to maintain, and can withstand higher temperatures or direct exposure to sunlight. These landscapes can allow for you to conserve water and resources while still having a visually-appealing outdoor space. A professional Los Angeles landscape architect will be able to help you with this aspect of landscape eco-friendly improvement. Busch Design Build is a Los Angeles-based global design firm that has been providing architectural and eco-friendly landscape design services for the past two decades. If you would like to learn more about our eco-friendly landscape design services please contact us at your earliest convenience via phone or email.